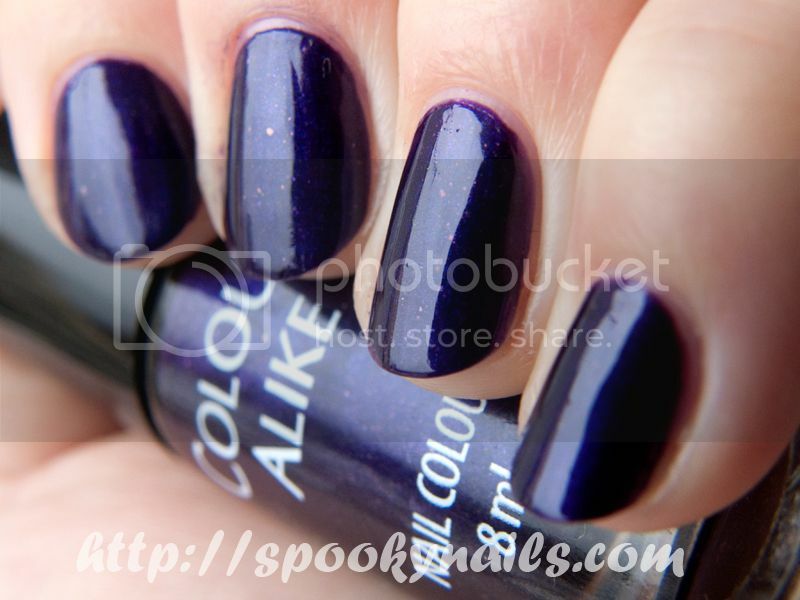 Blurple from Colour Alike. Shimmery and very pretty :-) In daylight you can see also small orange flakies! Great shade, I love blurples. 2 coats for the full coverage. Blurple z Colour Alike. Błszczący i bardzo ładny :-) W świetle dziennym można zobaczyć małe pomarańczowe flakies! Świetny kolor, uwielbiam blurple :) 2 warstwy do pełnego krycia. The first polish is really cool. I’ve never seen a polish with little orange flakies!